Dr Bernadka Dubicka qualified in medicine and psychology at University College London and completed her training in child psychiatry in Manchester, alongside her MD on adolescent depression. She has been a consultant for an adolescent unit for over a decade, and recently moved to a new post in Greater Manchester where she is helping develop intensive community and crisis services for young people and is also a research lead. In 2015 she was elected vice-chair of the RCPsych Child and Adolescent faculty, and became chair in June 2017. She has campaigned actively for improved CAMHS since taking up this post. She has a research interest in mood disorders, with expertise in clinical trials and evidence based practice. Most recently she has been an investigator on one of the largest international psychological treatment trials in adolescent depression (IMPACT). 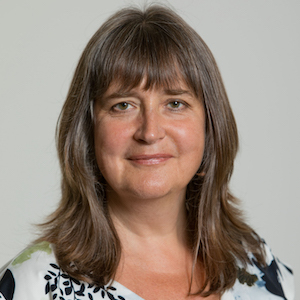 Dr Dubicka is a member of the National Institute of Health Research, and a clinical advisor for the North West Strategic Clinical Network, where she has led on a project examining self-harm in young people. She is an editor of the Child and Adolescent Mental Health Journal, has published regularly, contributed to NICE guidance, and speaks regularly at national and international meetings, as well as in the media.